No matter the table, always have the best seat in the house. 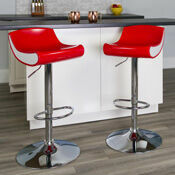 Backless bar stools are the most popular of all bar stools. They are simple, have a small footprint and can be easily stored underneath the bar. Here are our top picks for indoor or outdoor, backless bar stools. Want to make a statement? 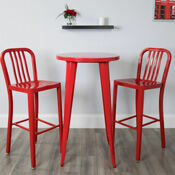 Check out our wide assortment of colored bar stools. Whether you are looking to furnish your home or business, we have different styles, shapes, and heights to fit any need. Are you looking for metal or wooden bar stools? Leather or vinyl? What height? There are many questions you may have around picking the correct bar stool for your space. This guide helps making that choice a little easier.